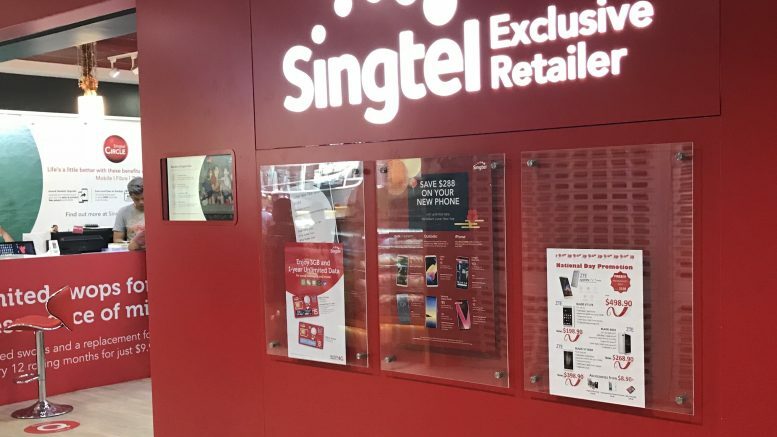 This article was originally published on Wednesday, 13 February 2019 at 23:12 SGT; it has since been updated to include Singtel. Singtel reported on Thursday its fiscal third quarter net profit fell 14.2 percent on-year to S$823 million amid headwinds in India. The results missed a forecast from DBS. Taxi operator ComfortDelGro reported on Wednesday that its 2018 net profit rose 0.6 percent on-year to S$303.3 million on contributions from new acquisitions. That beat some analysts’ forecasts. SATS reported on Wednesday its fiscal third quarter net profit increased 3.5 percent on-year to S$68.9 million on volume growth in its Food Solutions and Gateway Services segments. The results beat a forecast from Daiwa. Frasers Hospitality CEO Choe Peng Sum, age 58, will retire on 15 February, and take up the role of senior adviser to Frasers Property on 16 February, Frasers Property said in a filing to SGX on Wednesday. “Recruitment of Mr. Choe’s successor is progressing well, and an announcement will be made in due course,” Frasers Property said in the statement. Read more about Frasers Property here. NetLink NBN Trust reported on Wednesday that its fiscal third quarter net profit came in at S$19.6 million, above the projection of S$16.7 million from its IPO prospectus. Iconic Singapore chili crab restaurateur JUMBO Group reported on Wednesday its fiscal first quarter net profit rose 15.7 percent on-year to S$2.43 million. Accordia Golf Trust reported its fiscal third quarter net profit increased 24.7 percent on-year to 3.21 billion yen (S$39.3 million or US$28.96 million) as improved weather helped to boost player numbers. Aspial Corp. said on Wednesday that the S$15 million of notes it repurchased were cancelled on Tuesday, which brought the outstanding aggregate principal amount of the notes to S$68 million. In mid-January, Aspial made the offer to repurchase S$15 million of its 5.05 percent notes due 2019, which were series 003 notes issued under its S$700 million multicurrency debt issuance program. Kencana Agri issued a profit warning on Wednesday, saying it expected to report a net loss for the full year due to weak crude palm oil prices, the depreciation of the Indonesian rupiah against the U.S. dollar and losses from fair value changes in biological assets. Fraser and Neave said on Wednesday that its wholly owned subsidiary F&N Investments has subscribed for an additional 4.8 million new shares in its joint venture Emerald Brewery Myanmar Ltd. (EBML) at US$1 each, for a total of US$4.8 million. Myanmar-based Sun Ace has subscribed for an additional 1.2 million new shares in the joint venture, but third partner, Than Lwin Aye Yar Industrial Production & Construction (TLAY) did not subscribe for any additional shares, it said in a filing to SGX after the market close on Wednesday. After the additional investments, EMBL is 79.63 percent owned by F&N Investments, 20.01 percent owned by Sun Ace and 0.36 percent owned by TLAY, it said. Read more about Fraser and Neave here. EMAS Offshore said on Wednesday that Udenna Corp. had notified the company it would no longer be proceeding with its proposed transaction with wholly owned subsidiary Emas Offshore Pte. Ltd., or EOPL. In October, Udenna had entered a deal to conduct due diligence for an investment of US$73.29 million to acquire certain vessels and invest in EOPL. Read more about EMAS Offshore here. Gallant Venture said on Wednesday that it wasn’t aware of any reason that would explain a sharp jump in volume in trading of its shares. More than 6 million of its shares changed hands on Wednesday, compared with a usual volume of less than 500,000. The stock closed down 0.71 percent at S$0.14.